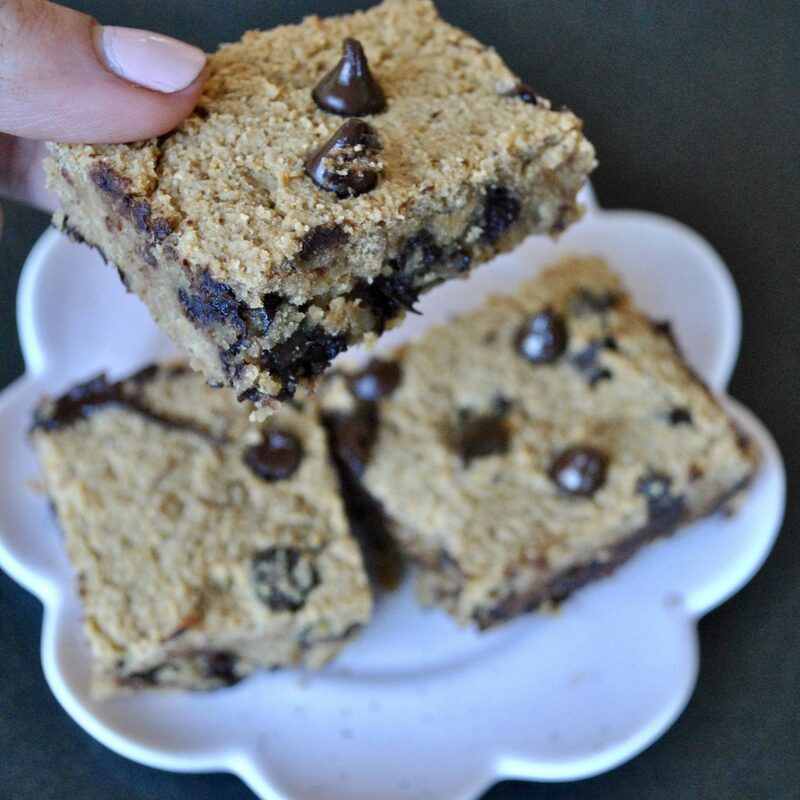 These blondies taste like the most indulgent and decadent dessert but the truth is they are made from healthy natural ingredients that won’t give you a sugar crash later. 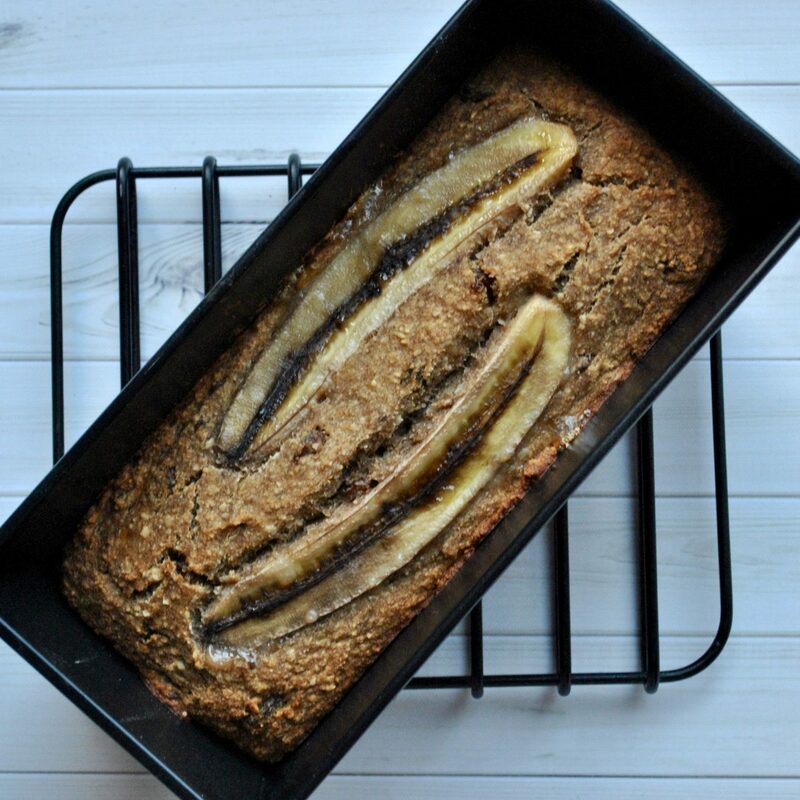 Like all my recipes, they are free from gluten, dairy and refined sugar. These also have no eggs making them suitable for vegans – as well as those who like to lick the bowl! 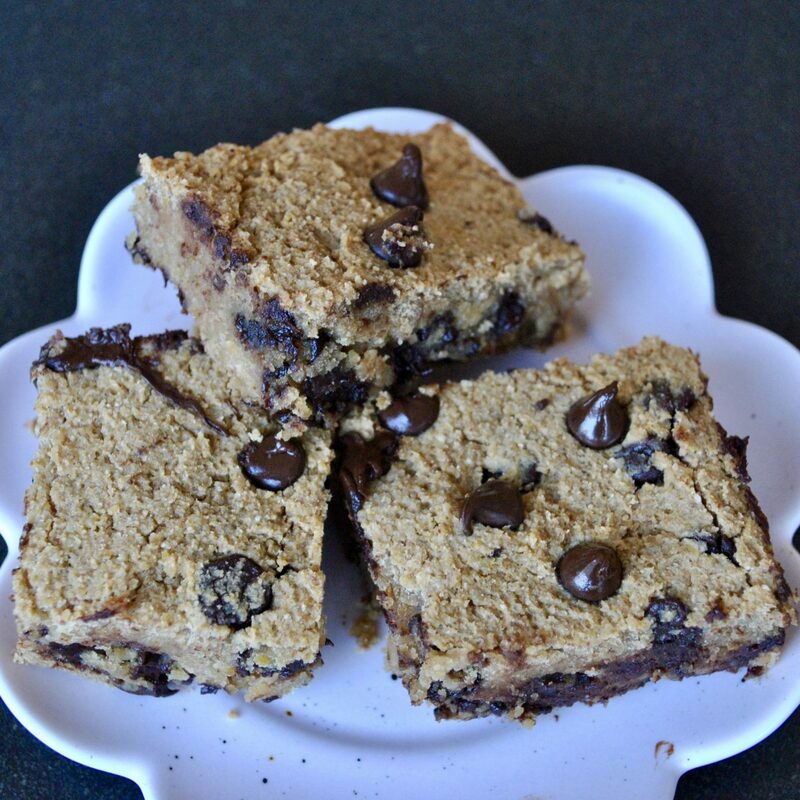 In fact, the raw mixture tastes just as good as the baked blondies in my opinion! I love breaking chunks of my 3-Ingredient Homemade Chocolate into the mix but feel free to replace with chocolate chips or your favourite bar. P.S. If you like these blondies, you will LOVE my Vegan Oreo Fudge Brownies and my Flourless Triple Chocolate Cake with Sticky Toffee Frosting! 1. Preheat oven to 180 C and line a baking tray with greaseproof paper. 4. Add all ingredients, except chocolate chips, to a food processor. 6. Pour the mixture into tray and bake for 20 minutes. 7. Leave to cool for 15 minutes before slicing into about 12 brownies.